Abby L. Sgro | Giffin, Winning, Cohen and Bodewes, P.C. Abby focuses her practice in the areas of state and federal criminal matters, civil litigation, estate planning, and family law. Upon graduating law school, Abby served as Legal Counsel for the Illinois Environmental Regulatory Group (IERG), where she advocated for business and the regulatory community on Environmental matters. Abby also participated in a week long federal criminal jury trail, handled several federal criminal cases, participated in oral arguments in front of the appellate court, and handled several family law proceedings. 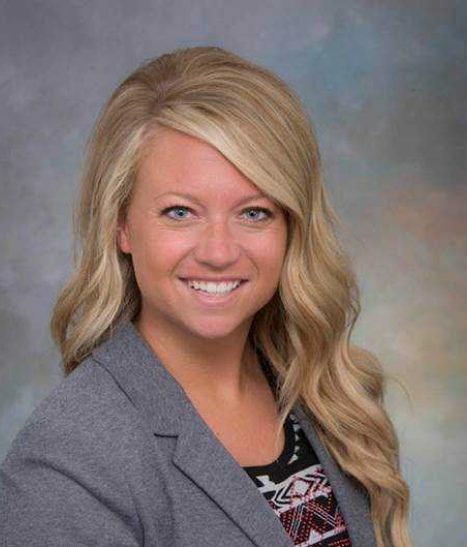 Before joining the firm, Abby clerked in a wide variety of practice areas, but spent a majority of her time at the St. Clair County State’s Attorney’s Office, where she was able to use her 711 license to participate in various court proceedings prior to graduating law school. Outside of her legal career, Abby spends a lot of time volunteering and participating on Boards for non profit organizations. Such as pro bono work and fundraising for the Illinois Innocence Project, Board member for Compass for Kids, Vice President of the Central Illinois Women's Bar Association, and recently joined the Family Advisory Board for St. John's Children's Hospital in order to give back to the hospital that took such great care of her daughter. Abby is passionate about Springfield community and encouraging business growth in the community she plans to call home indefinitely. She most enjoys spending time with her husband Ben, her new daughter, and her two rescue dogs Caesar and Remy. When you need professional legal counsel, Giffin, Winning, Cohen & Bodewes, P.C. stands on excellence and results. Copyright © 2019 Giffin, Winning, Cohen, & Bodewes, P.C.